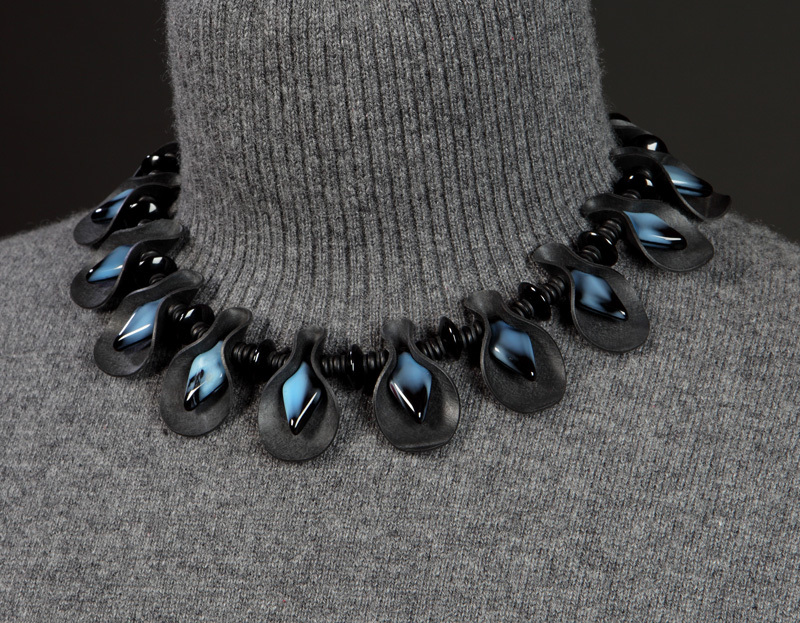 Adorn yourself! 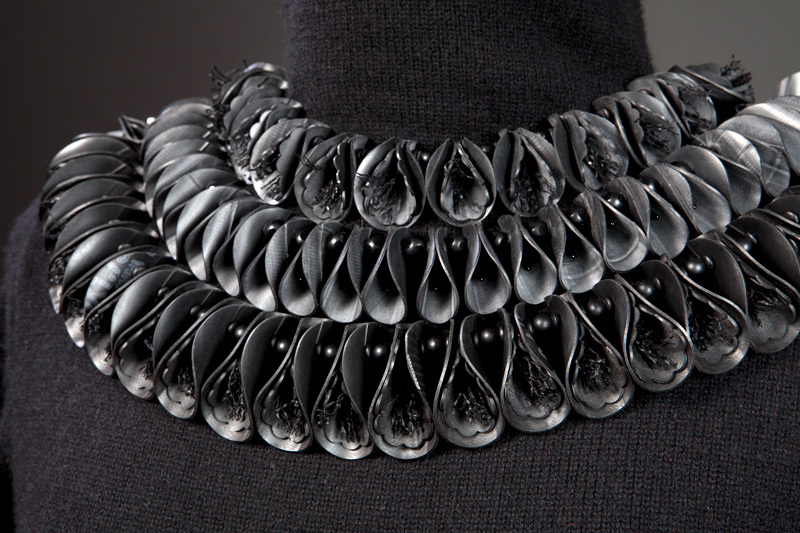 This collection of stunning and distinctive jewelry is fabricated from recycled bicycle inner tubes. 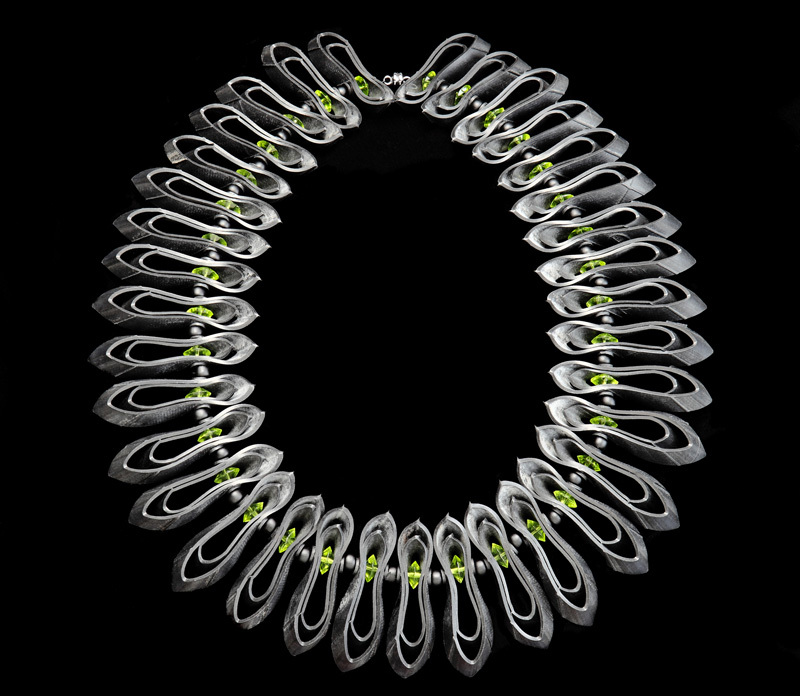 Peggy Hunt creates a wide variety of entirely original designs, ranging from understated, elegant styles to complex and bold statement pieces. 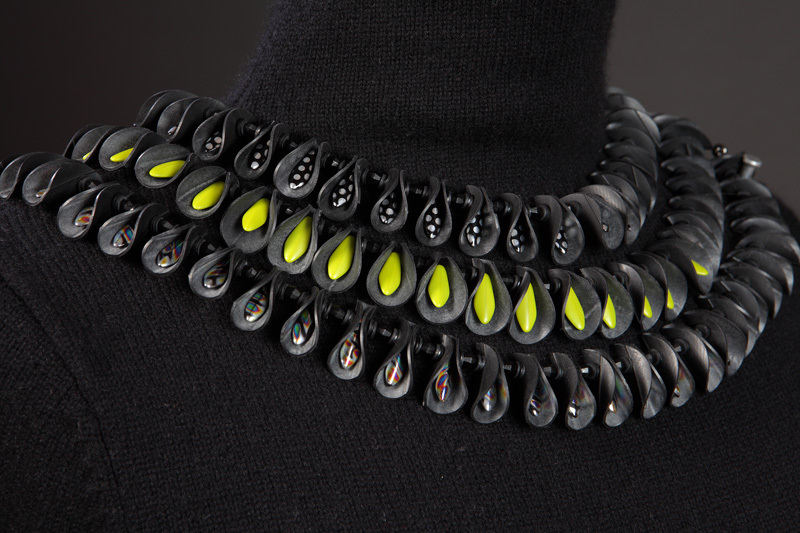 Some pieces are strikingly black and bling-free, and others exhibit high contrast, bright color, unusual texture, and sparkle that may be subtle or prominent. 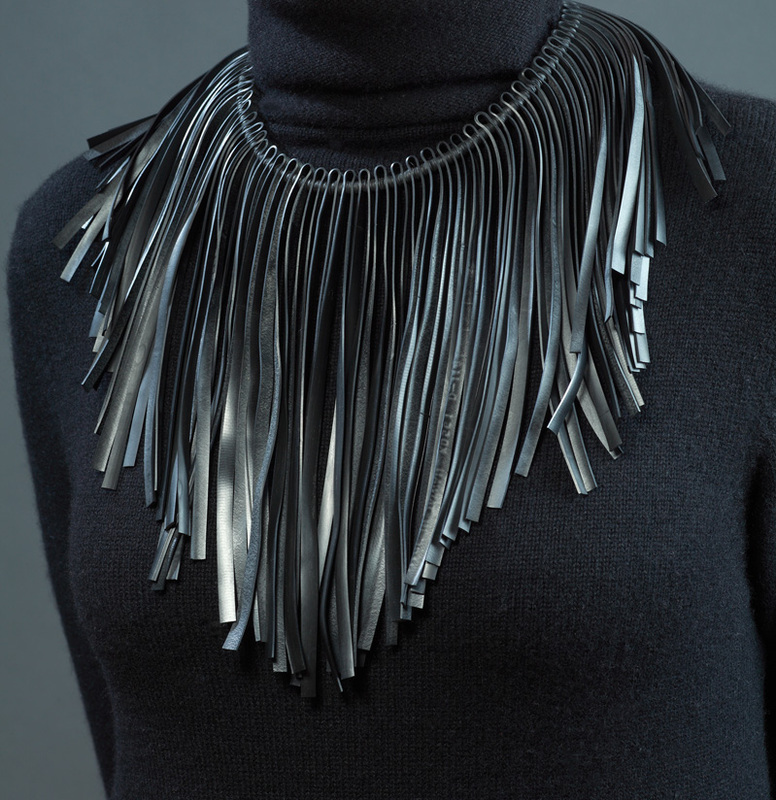 For dramatic effect, layer two, three, or more necklaces together. Expect to be noticed!